In 2015, Facebook reported that its daily video views had increased to 8 billion, more than doubling from the previous year and surpassing YouTube as the most-used website for video content. This trend is expected to increase even further in 2016, with features such as Suggested Videos providing even more video content for Facebook users. As a result, businesses can expect to spend more of their digital marketing budget on creating video advertisements, optimized for a digital format (which is usually shorter and more informal). Platforms such as Snapchat, Instagram, and Periscope, which all offer a platform for businesses to share their videos, allow you to utilize this trend without spending the money necessary for professional video. According to Google, mobile overtook desktop as the primary way for people to conduct searches in 10 countries for the first time in 2015. In 2016, this trend will only increase; as more and more people around the world use the internet through mobile devices, it will become more crucial for businesses to utilize mobile platforms through websites, apps, and social media. Mobile optimization is the first step in this process; although it will require an investment of time and resources, it will ultimately help businesses reach more people through mobile platforms. The rise of social messaging has expanded to include apps such as WhatsApp, Kik, and GroupMe, all of which are used for instant communication between people. Furthermore, the continued integration of messaging into larger social media platforms such as Facebook and Twitter means that this function will be all the more important in 2016. Although these apps have not been utilized as much as others for marketing purposes, that is likely to change in 2016; look out for increased information about who uses social messaging apps, and what they are used for, so that businesses can better harness them for digital marketing purposes and direct customer service. Although the concept of virtual reality has been around for years, 2016 is expected to be the year that it takes off. Numerous VR devices – most notably Oculus Rift, which was acquired by Facebook – are set for release in 2016, and they provide nearly unlimited opportunities for marketing as well as customer engagement. Companies can look into optimizing some of their advertising for virtual reality as more information about this trend emerges. The key in digital marketing in 2016 will be personalization; because of the incredibly vast amount of content that users are bombarded with every day, it is crucial for businesses to target their marketing specifically towards the people who will respond to it most. As a result, personalization will help businesses increase efficiency and engage with customers; however, it will also require a significant effort and investment on the part of the business. Although social media offers a platform for free advertising through videos, photos, and messages posted to platforms such as Facebook, Twitter, Instagram, and Snapchat, paid social media advertising takes this to a different level. However, organic reach for these platforms is minimal simply because of the volume of advertising on social media. As a result, business owners in 2016 will turn increasingly to paid social media advertising. Facebook, for example, includes sidebar ads that target people with interests relating to those ads; this optimization helps make them more efficient and effective. Technology such as the Apple iWatch, just taking off in 2015, will grow in prominence in 2016. This means specialized apps, which businesses can utilize along with the idea of “wearable” technology. For example, fitness, fashion, or health businesses can find numerous advantages in the idea of a wearable device. Increasingly, people are following niche bloggers, YouTubers, and Instagrammers who appeal to the specific interests of certain social media users. Having so many followers allow these accounts to leverage significant influence over how they “influence,” or endorse, certain businesses or products; for example, many YouTube makeup gurus will use and advertise a particular makeup brand, which includes compensation from that brand. 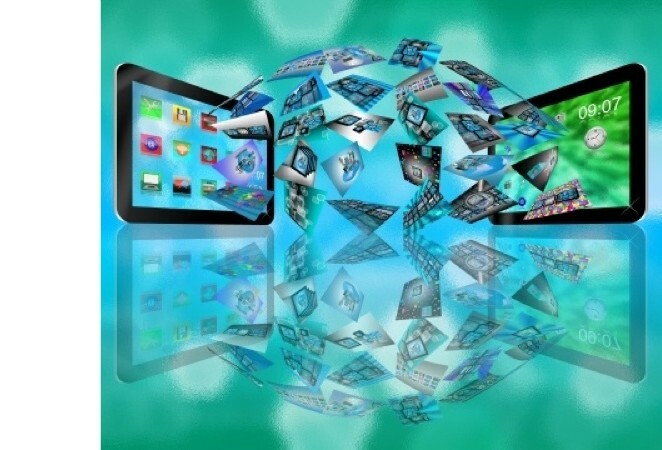 If you are concerned that the projected digital trends for 2016 could negatively affect the way you manage your online marketing, Social Connect can help! Give us a call at (239) 601-4340 to learn about our Social Media Analysis so that you can prepare your business for the upcoming new year. Social media provides an invaluable tool for 21st-century businesses, especially those who don’t have the money or resources for big-budget advertising. It’s a cheap and efficient way to connect with your target market and engage directly with potential customers, all while promoting your business to a widespread online audience. Social media tools such as Facebook and Twitter promote contact between consumers and businesses through features such as comments, which allow them to communicate directly. However, this feature has a downside; just as customers can leave positive comments that encourage those who see them to visit your business, so too can they react with negative comments that drive others away. If a customer is leaving a bad review, there has to be a reason behind it, and understanding what that reason is will help you both with pacifying that specific customer as well as improving your business as a whole. Social media sites such as Facebook have billions of users, and the longer you take to respond to a bad review, the more people will see it and form negative opinions of your business. Make sure to respond as soon as possible to put a positive spin on the review for others to see. Although the Internet can be a forum for inflammatory language, it is crucial to remember to stay professional and always be polite, even with a customer who wrote a particularly strongly-worded review. Respond to the review by offering your apologies, and doing your best to fix the situation that the customer has written the complaint about. Remember that one bad review is not the end of the world – as long as it is balanced with numerous positive reviews, your business will still attract customers. 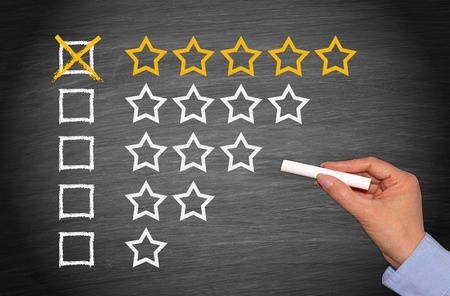 Bad reviews can also make a business more credible by showing that it has real customers, rather than just reviewers paid to leave positive comments. Watch out for defamatory reviews. Although removing bad reviews or comments simply because they don’t promote your business is not a good practice, defamatory reviews or those that create a false image of your business can be highly detrimental and should be removed. You should report defamatory content on the social media site. With Social Connect by your side, we’ll do our absolute best to make sure that negative comments on your social media channels are far and in between! Be sure to check out our social media set up packages to improve your business’s online presence! Make sure all of the information in your “About Me” page is up to date and accurate, especially contact information! You want customers to be able to find you. The purpose of your Facebook page is not simply to spew out promotional material – in fact, you should generally avoid direct promotion (unless it’s for special deals or contests). Instead, provide unique content (related to your business) that users will find useful and thus will flock to your page, and your business to see. Be human – make jokes, have more “personalized” status updates, and otherwise do your best to engage with people on a more personal level. Encourage users to “check in”. “Checking in” on Facebook involves users saying that they’ve visited your business, which helps promote it to their friends and also to any customers that view your page and are looking for confirmation of its effectiveness! A picture says a thousand words, and this is especially true on social media, where visuals are everything. When you post, upload a picture to grab readers’ attention – however, make sure the picture is relevant to the post. Furthermore, have an interesting and professional profile picture and cover photo that draw attention but also portray the essence of your business – avoid stock photos at all costs. Run contests, offer “online-only” deals, and try other ways to engage your customers with your Facebook page. This helps promote your social media account as well as draw in new customers who see their friends participate online! Have a strategy for what, when, and how often you post; for example, you can look at Facebook analytics to see what the peak times for page viewership are, and post during those times for maximum visibility. Furthermore, keep your posting to a minimum; usually, one short post a day and one longer post a week are sufficient to keep people interested but not overbearing enough to push them away. 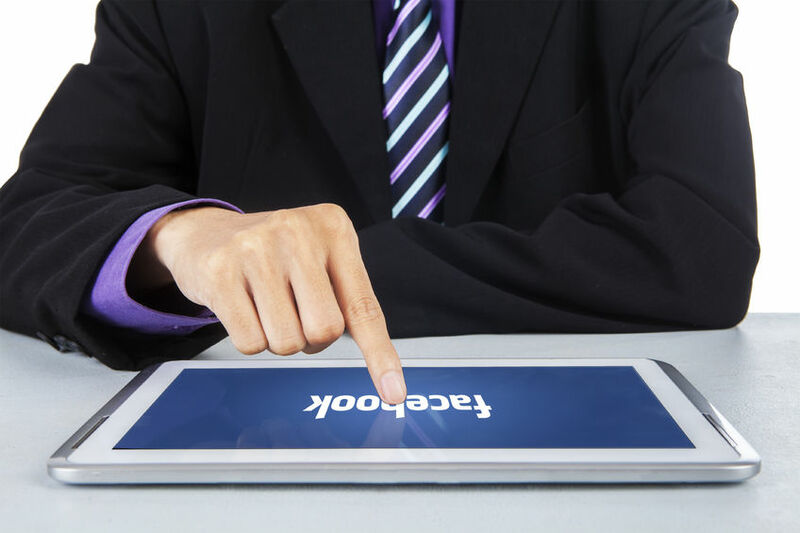 With 1.44 billion monthly active users, Facebook is an incredible resource for businesses to reach out to potential customers and to connect more deeply with already existing customers. As a marketing tool, Facebook is essential for your business growth – but the key, ultimately, is to know how to utilize it effectively. Social Connect wants to help you harness the power of Facebook for your business! To take the first step in enhancing your online presence through Facebook and other social media channels, sign up for our Social Media Analysis. You are what you post. Social media is you and your reputation. If you do not want everyone to see your picture or post, do not take it and do not post it. There is no such thing as privacy with social media. Parents need to check out the privacy settings on the devices their child uses. More importantly, parents should review every app their child uses. Avoid letting children use anonymous apps. Parental monitoring software is an important tool. There are both free and paid apps available with features that let parents monitor the content of their child’s texts or send alerts when their child adds a new contact. You can find more information and resources on our Virtual Town Hall Meeting Resources page linked above. There you will also find a complete replay of the meeting. Again, thank you for being a part of the conversation on such an important topic. The proliferation of social networking sites such as LinkedIn makes it easy to take your content marketing into your own hands. 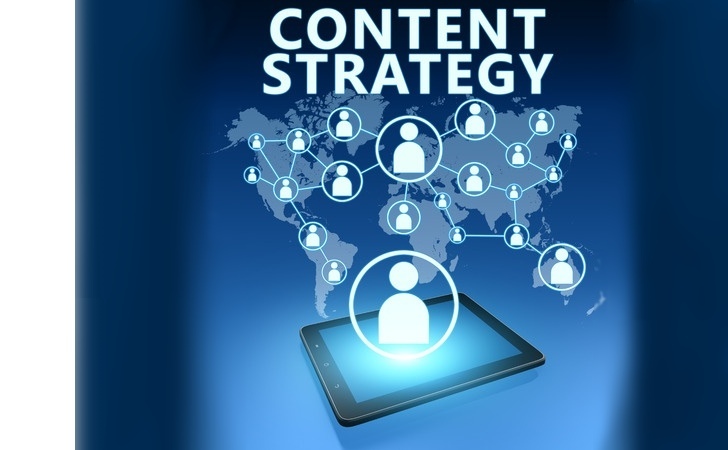 However, in order to maximize your effectiveness on such sites, it’s important to know how to create a winning content strategy. 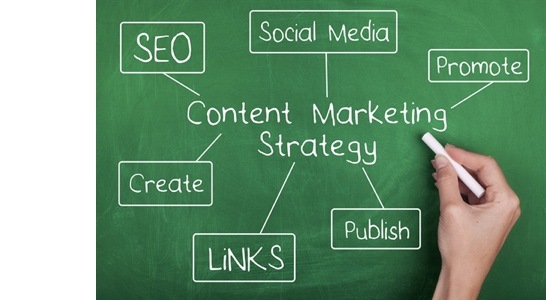 A crucial step in a winning content strategy is planning out what you will post in advance. Start by defining your purpose or goal with creating a post; what do you hope to achieve with this specific information? Who are you targeting? Then, brainstorm topics that can help you fulfill this goal. Eventually, narrow your focus to one specific topic, and create your post around that angle. One of the fastest ways to be ignored on LinkedIn (or any social networking site, for that matter) is to flood your connections with a constant stream of posts, which many will soon start to consider spam. However, you also don’t want to post too infrequently and run the risk of being unnoticed. As a general rule of thumb, you can share short posts 2-3 times per day to maximize effectiveness, and long form articles once or twice a week. Everything that you write should be tailored to your audience. How old are they? What do they like and dislike? You wouldn’t write posts about retirement if you have an audience of mainly twenty-somethings. Consider who is reading your posts and fit your content to their demographic. Your goal should be to demonstrate how you fulfill a unique niche in the market or otherwise distinguish yourself with your brand. The main way to execute a winning post is to share something new. No one wants to hear what they have already heard a thousand times before, so do your best to present the information that you generate in an interesting and unique way. Getting content out there is only half the battle. After you post, you should follow up on any comments that you receive and reach out to anyone who interacts with your content. One way to increase audience engagement is to reference specific connections in your posts. You can thus utilize these people and their connections to spread your content on LinkedIn. Above all else, LinkedIn is a professional networking site; that means that your content, as well as your style and format, should reflect that emphasis on professionalism. Make sure to keep your posts relevant to your business interests, and double-check everything that you post for grammar, spelling, punctuation, and appropriateness. If you’re ready to start creating content on LinkedIn that separates you from the norm, Social Connect offers a variety of packages including individual training, company training, and corporate training. So let us help you expand your brand and contact Social Connect today! Bring Your Business to New Heights with SOCIAL MEDIA! What is Google and what is its product? Well, Google is the largest social platform on the planet! When a person searches for anything online, they always start with Google. Google began its life as a search engine in January 1996 as a research project by two PhD students at Stanford University in California, Larry Page and Sergey Brin. The name of their search engine came from a misspelling of the word googol, which is a number one followed by one hundred zeros. This was picked to signify that the search engine wanted to provide large quantities of information for people. Today Google’s mission is to organize the world’s information and make it universally accessible and useful. To this end and going far beyond just search engine services, Google services include Gmail, do- it-yourself ads called Google Adwords, Google Maps and Google Earth which help locate places and things, YouTube—where you can post, share and view videos, and Google+ which offers real-life sharing on the web, and much more. Mistake #1—This Could Cost You Millions! And the crazy thing about Google is that its services are, for the most part, free! Yet most people are not on Google. All their attention gets mistakenly put on an urgency to have a website. Let me give you an example of why this is a mistake. In this day and age, when a girl wants a new pair of shoes, most likely she’ll use Google. She’ll look for the shoes she wants, the price, where they can be found, and she can even see comparative prices, shipping costs, etc. Your clients/customers shop online so you need to understand the importance of being found online on Google! I use the example of shoes because it’s simple. I personally always buy my shoes online. What would I do if the company I liked wasn’t on Google or didn’t post on Google? I’d have to spend much more time going to brick and mortar stores and waste half my day searching for what I want. 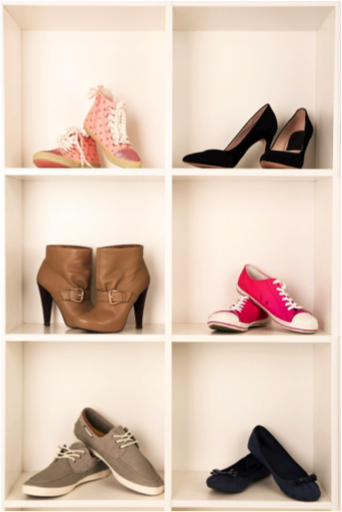 Some women love this, but I do not have the time—yet I love shoes! And please note I never search for shoes on Facebook or Instagram. Sometimes I see shoes on other social media channels, but I always go back to Google for the final search or purchase. Now I own 166 pairs of shoes thanks to Google which allows me to find all the discounts and deals that my shoe sellers post! So what are many of our clients missing? They are all over social media but they are not on Google! A dental client called me and with a tearful voice told me how he had tried for ten years to have his name up at the top of the Google page and how he had spent a great deal of money to get there. He explained how hard it is to be at the top in his industry in the state of New York where there are over 1,000 dentists in his immediate area! Yesterday was the very first time ever that he found himself on the top of the Google page! He was calling to thank me. Our everyday posts and review triggers made a huge difference for him. His Google page got more than 76,000 views in just 5 months! When he came to me his Google page had a total of only 2,400 views after having the page for 4 years! He has more than 1,000 views per week now because of posts, video, patient education, reviews and press releases. This is Public Relations (PR) at its best. Through PR one harvests the field and becomes known. Follow that with good marketing to harvest the crops. And this client didn’t even get many people visiting his website through our campaign! Now that you know where to start with social media, it would be my pleasure to show you how! Social Connect will take an in-depth look into your current marketing strategies and tell you how to maximize your client retention through our social media analysis. 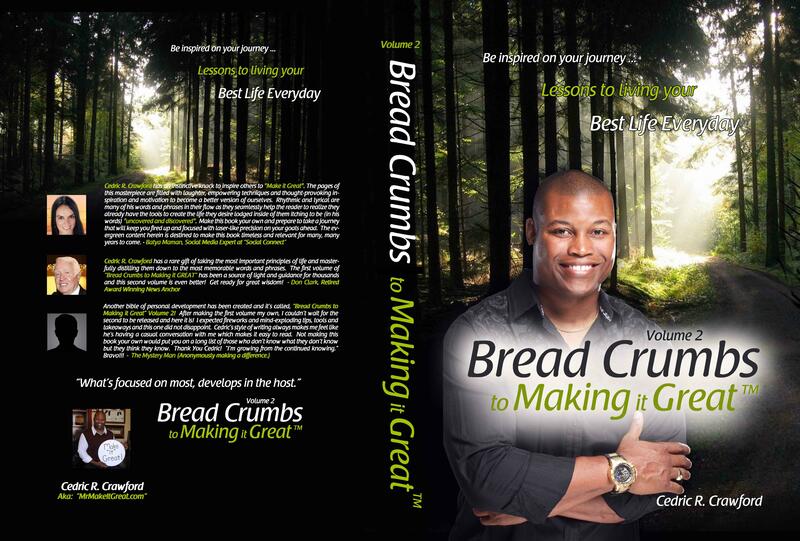 Take the first step towards your ultimate goal by clicking here! Every day, social media and internet users are flooded with thousands of advertisements from hundreds of companies, all of which are competing for their attention. A study by Media Dynamics recently found that the average person is exposed to over 5,000 advertisements and brand promotions per day, a large portion of which are shared through social media and web outlets. Social media and online marketing are extremely effective marketing tools – the only problem, however, is that there are so many companies vying for potential customers that it can be easy for your company’s message to be lost in the noise. So how do you make your advertisements stand out? There is no one catch-all answer, but what effective marketers know is that one of the central components of a modern marketing campaign is visual content. Visuals, in the form of photos, videos, or graphics, make your content stand out, draw your audience in and ultimately lead to customer engagement. What is visual content for marketing? “Visual content” is a broad term for any component of your marketing campaign that uses abstract or symbolic representation (rather than language, such as text and audio) to promote your product or service. This can include photos, videos, GIFs, infographics, and illustrations, among other aspects. Why is it important to have quality visuals? Visuals serve a multifaceted purpose. They pull in the eye of the reader, which is often distracted by numerous stimuli and simply skips over lines of text when scrolling through a Facebook news feed, for example. Furthermore, visual content builds credibility for the company, which can back up its claims through photos and videos. Finally, adding visuals can engage your audience instead of simply feeding them information. How can I use visual content to my advantage? Integrate visual content into your text-based content; for example, add images, videos, or graphics to your company’s blog posts, website content, or social media posts. When promoting a sale or other event on Facebook, add an image to the post instead of simply creating your text. Then, focus on creating visual-specific marketing, such as posting images on Instagram or creating videos for your business on YouTube. What tools can I use to create visual content? Photos, one of the most crucial components of visual content marketing, should not be taken with a smartphone, which often fails to create professional-looking photos; instead, invest in hiring a professional photographer, which ultimately will build your brand as a more professional company. To create graphics, you can use a number of Softwares and online tools, from the Adobe Creative Suite to websites such as Infogram, which helps you create infographics. Having difficulty creating unique and compelling visual content throughout your social media channels? We want to help you turn eye-catching illustrations into paying clients. Let us take a look at your current attempts through our Social Media Analysis and start converting customers today! Social media presents a perfect platform to connect with millions of people across the globe; so you should try to utilize it to the fullest. Any great content can foster engagement, foster strong relationships and generate new leads for your business. Great content is undoubtedly the gateway to a new world of success and can establish you as a thought leader. Strong social signals are what demonstrate brand power, authority, and credibility. This is what helps you achieve all your marketing function objectives. Creating content that has the ability to capture your audience’s attention and make them feel passionate enough about the topic and respond to you can be a daunting task. But what makes content engaging? What are the best ways to write perfect engaging content on social media? There is the simple and proven path that any person can follow to create terrific social media content. If you follow these outlines steps, you will be on the right path to creating more engaging content to attract more followers to your site. 1. Who is your target group and audience? First, conduct research about who is using what in social media. Determine the demographics of each platform. Based on the data that you shall obtain, you will be better placed to tailor your content to match your target audience. Creating demographic responsive content will help keep your customers engaged, thus retaining them for longer. After you are through with the demographic data collection, it is the time you focus on the type of content that you post. Visual and interactive media works best on platforms such as Facebook while question and answer type content works best on Twitter. Use infographics across all platforms. To create engaging content, make use of quotes, links, behind scene photos, questions and so on. Be creative and review the precious content that generated more likes and comments. You should conduct research on the days and time that your audience is most likely to interact with your brand platform. You should follow the trends and news that relates to the latest developments that involve your area or brand. Your audience wants to know what’s new in the area of your brand. It is your responsibility to keep them updated on what’s trending. Be a few steps ahead in relation to the current news and developments and present an image of confidence that will build brand customer trust. When users reply to your posts on social platforms, they are basically telling you what they want. Be consistent and steady when it comes to the flow of your postings and uploading of information. Communicating with your audience will allow better familiarization with your brand, a step further to realizing your goals. Listen to your community and utilize the content that comes from your social community. Your business is composed of different employees. Encourage these employees to interact with your current and potential employees by use of their professional social media platforms. This is a true show of the actual value of your brand as communicated by your employees to the customers. Encourage your employees to be present and engaged with the customers for bond creation. The type of content that you present in your social media platforms will have an effect on your engagement. Social media generates signals that positively affect your SEO performance and customer engagement, leading to promotion of your brand. You should invest quality time and effort to create quality content for your readers. If you’ve already developed a social media presence, we’d like to improve it even further! 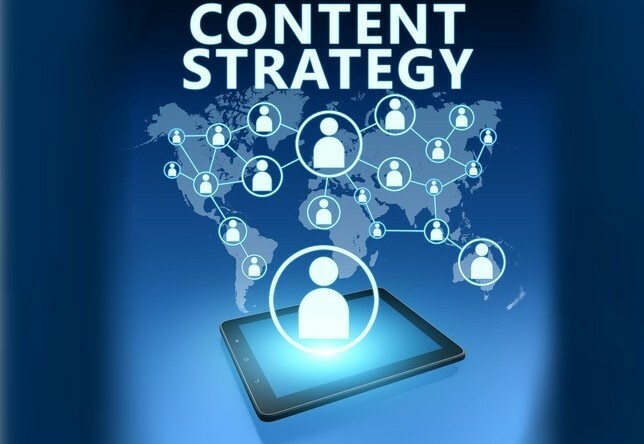 Social Connect will evaluate your current content strategy and boost it to its fullest potential. 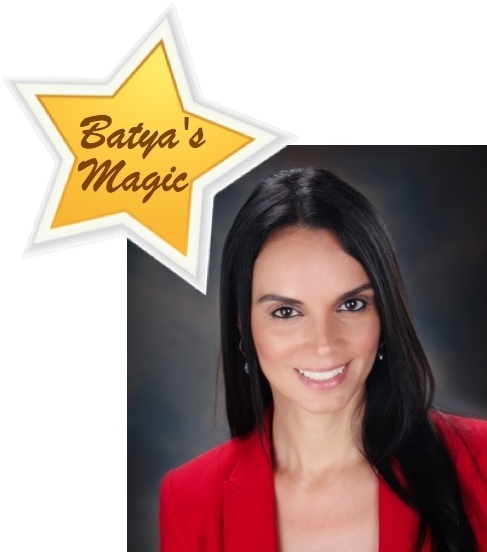 Contact Batya Maman at (239) 601-4340 for a complete social media makeover! Hoot Hoot! We couldn’t be more ecstatic that the time has finally come. 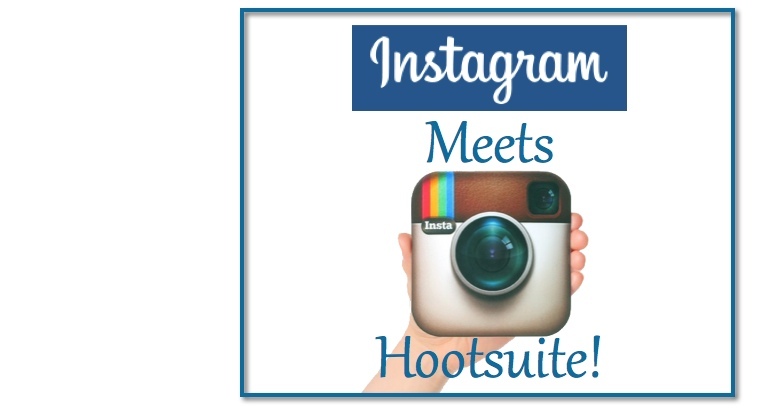 “The King of Social Engagement”, Instagram has finally joined forces with Hootsuite! Now, you can schedule your Instagram activities in a new awesome way. Start stockpiling those photos and scheduling your post dates. 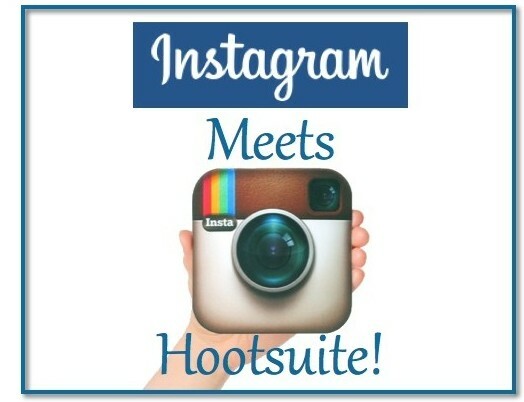 Now, that Hootsuite and Instagram have finally united you will be able to save valuable time on your social media marketing and be present to engage with users while marketing your business. The unification between Hootsuite and Instagram will allow you to be a more resourceful social media manager by tracking all facets of your social media campaigns from one place – your Hootsuite dashboard. If you introduce a new product, you’ll be able to reply to comments and engage with the users on Instagram using the same window you are using to engage with followers on Facebook and Twitter. Click on the profile icon on your launch menu and click on add a social network. When the pop-up window opens, choose Instagram and then press on connect with Instagram. Put in your login information and allow Hootsuite to open your account. Select the tab you want to use and then select the add Stream option. Select Instagram from the list of social networks and pick the Instagram profile you want to post to. Make Instagram stream for your scheduled posts, posts, users, locations, hashtags, and more. Click on add social network, and select Instagram. Next, enter your login credentials and authorize Hootsuite to get access. You can automatically subscribe to the push notifications. *If the push notifications are deactivated (disabled) for your Hootsuite mobile application, you will need to enable (active) them. In your compose box, you add the text for your caption (emoji’s and hashtags are completely supported) then attach your image. Next, click send, auto schedule, or schedule. The next time you want to publish, you will get a push notice from your Hootsuite mobile app. 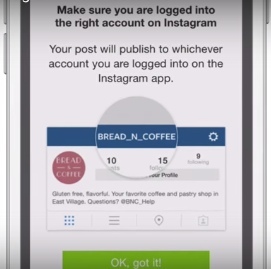 * Hootsuite push notifications have to be turned on in order to publish to Instagram. To access the app tap on the push notification tab on your phone to be directed into the Hootsuite mobile app. Check your post, and when ready to publish, tap open Instagram. *Make sure you are logged into the account you want to publish to. Once you get into the Instagram app, you will be able to filter the picture or tags and the location. Lastly, tap on share and publish your image and text to Instagram. * If you have several Instagram accounts, the image will automatically be posted on the Instagram account you are logged into, even if you select another account within Hootsuite. This long awaited app was certainly worth the wait! With this new integration, don’t be surprised to have a few “growing pains” while scheduling all of your posts to their designated platforms. Which is why we want to give you a hand! Contact Batya Maman of Social Connect today for assistance with your social media set up. Sign up and grow your business with Social Media!